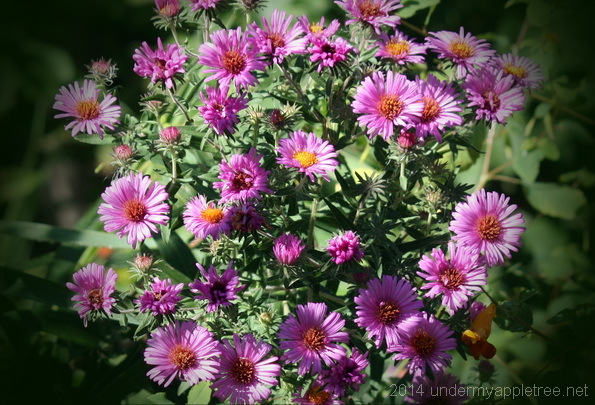 Almost wordless: The Wild Aster provided the last burst of color on the prairie with waves of purple flowers. This was taken a few weeks ago. We have since had a light freeze and many of the blooms have dried up now. Wild asters always make me smile. We still have some growing along the sides of the roads. Pink, purple, and white.